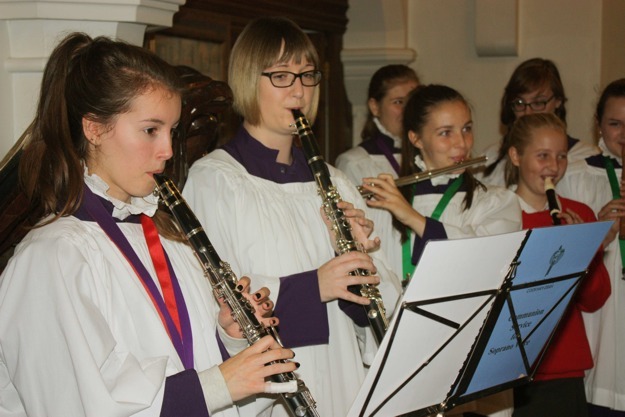 St John's Orchestra is formed of members of the congregation and the choir and plays the music at the morning service about 3 or 4 times a year. Age and ability are no barrier, and instruments include piano, clarinet, trumpet, saxophone, guitar, percussion, flutes, recorders, violins etc., etc.! Rehearsals take place on Sunday mornings after the morning service for the three weeks before performing. The orchestra is conducted and coached by David Hazeldine, an experienced local musician, churchwarden and member of the Senior Choir.